Nandishwar Steel is supplier and trader of Metal Products especially Non Ferrous Metal. These Non Ferrous Metal Products are sourced from quality raw material keeping in mind industry standards and our customer satisfaction. 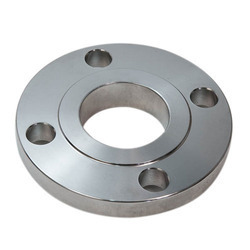 Nandishwar steel offers all kinds of Non Ferrous Metal Flanges. These are offered by us in market in reasonable rates. Lead ½” to 8” 150# SORF, WNRF, BLRF, SWRF, LAP Joint, Threaded, Reducing Etc. 300# SORF, BLRF, LAP Joint Etc. We are instrumental in importing, supplying and exporting offering a range of Brass Plates. The products we offer are manufactured by a team of skilled experts employing contemporary machines and instruments. These plates are powder coated and have excellent resistance against friction and corrosion. In order to fulfill the requirements of large number of customers, we offer these plates in varied sizes, grades and specifications. 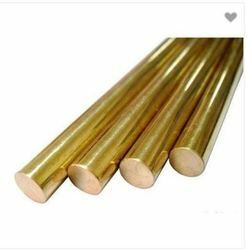 With an aim to stand tall on the expectations of our esteemed clients, we are providing Brass Rods. Under the vigilance of our vendors’ experts, this rod is manufactured using quality tested raw material and the latest technology. In order to provide a qualitative product to our valuable clients, we sternly check this rodagainst different parameters. 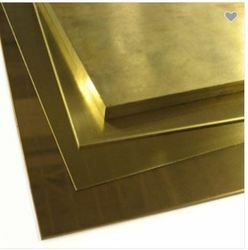 Brass Sheet is available in different sizes and shapes as per specifications mentioned by our clients. These are made using high quality materials and the products are tested on several levels during the production to make sure that the quality parameters are being maintained. These are offered with customized solutions to ensure the client’s complete satisfaction. 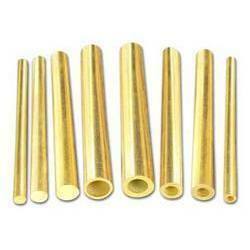 We are involved in trading of Bronze Tubes that are used in various industries for a wide range of applications. 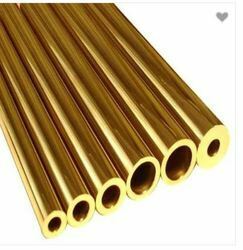 These tubes are made using high grade alloys as per industrial standards and are stringently tested on various quality parameters. The tubes are appreciated for dimensional accuracy and heat resistance. The Bronze Tubes possess feature of preventing galvanic corrosion, particularly by insulating steel screws from aluminum surfaces. Further, these exhibit excellent load capacity and anti-friction qualities that make it a better and more preferred alloy for a wide variety of applications. Their heat resistant feature made them highly useable in chemical industries. These are offered in best prices. 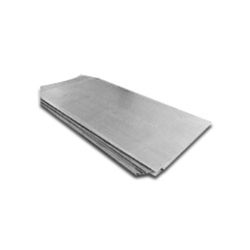 Nickel Sheets are considered the most versatile corrosion resistant metal sheets available. They are suitable for most chemical process applications. 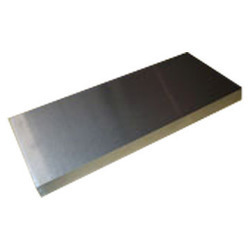 Nickel Sheets have excellent resistance to pitting, stress-corrosion cracking and oxidizing. We offer Nickel sheets is different dimensions to meet end-user's or buyer's requirement. Cost effective nickel sheets as per industry defined standards is available with us. Nandishwar steel supply the best Non Ferrous Metal in the entire industry. The range includes aluminum scrap, copper cathodes, lead scrap, tin plates, zinc dross, nickel plate, manganese and others. Non Ferrous Metals are most often used in automobiles, plumbing fixtures, train locomotives, airplanes and as metal pieces in other kinds of equipment. Our non- ferrous metals have various salient features like higher fatigue strength, easy work ability at site, better bonding strength and very better corrosion resistance. Moreover it is resistant to fire hazards and has better elongation features. Our products are easily available at industry leading prices. These are extensively used in engineering and construction industries and can also be customized as per the clients’ requirements Non Ferrous Metals are made in state of the art facilities by skilled engineers who believe in quality and excellent after sales services. 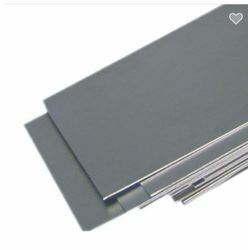 Our clients can avail from us an exclusive range of Titanium Plates that is manufactured using quality titanium sheets. These conform to the international standards and are offered in various specifications to our clients.